Power Modules - Akwil Ltd.
Power Modules There are 3 products. The DAM+ Series PAESP M is a programmable phantom power module for fixed and mobile installation. With its wide voltage range the module will fit most available microphone mixers. The PAE5 M reference phantom power module for fixed and mobile installation provides a five-pin XLR connector that allows the audio signal and the control voltage for a LED ring to be fed separately. 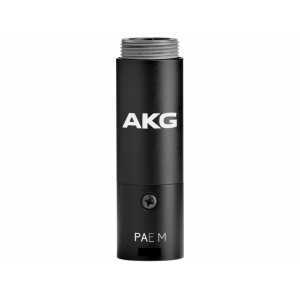 The PAE M reference phantom power module for fixed and mobile installation provides a gold-plated three-pin XLR connector.